Exeter College is a tertiary college in Devon. The college offers a wide range of programmes, from A-Levels and the IB Diploma to apprenticeships, higher education and adult courses. It is partnered with several institutions, such as the University of Exeter and The University of Plymouth Colleges network. 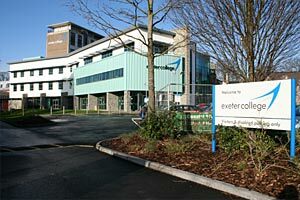 The college is also the main academic partner of the airline Flybe. Exeter has a Selective policy. Information about their entry criteria can be found on their website. Exeter does not offer the MYP but may offer similar courses. You can visit the Exeter College website here.